These flat fork divot repair tools are perfect for repairing ball marks and showing off your logo or custom message! Laser etched for permanence, they display your logo or text in white on the colored divot fixer. Anodized aluminum promtoional divot repair forks are made out of durable, lightweight aircraft quality anodized aluminum. Makes a great gift or giveaway for your next golf tournament! See more promotional golf giveaways. 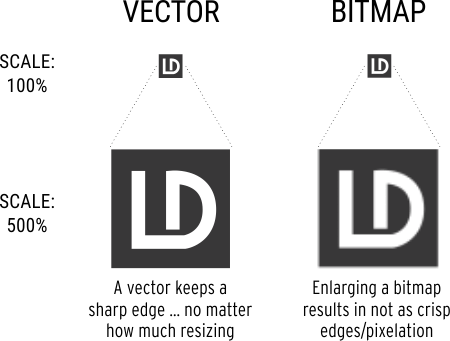 Imprint Area: 1" x 3/4"
Step 2: Text, Logo or Both? Do you want to engrave text, your logo, or both? To send us your art, simply reply to your order confirmation and attach it by email after you order! If you have special instructions regarding your layout, you can enter this in the Special Instructions box when adding the item to your cart. Vector based artwork is resolution independent and can be scaled to any size without loss of detail. Bitmaps are comprised of pixels that enlarge when the image is enlarged. The larger a bitmap gets, the more the pixels will be visible (appears as blurry, jagged edges or pixelated). Vector art generally lasers better, but bitmaps can often be converted to vector by our art team, as long as they are high enough quality to begin with. Most of the time, our skilled art team can make any logo work, so just sending your art in reply to order confirmation is the quickest way to get your order in. If we have questions or issues, we'll email you after you place your order. If you want to see a mockup of how your engraving will look, just put "REQUEST MOCKUP" in the special instructions box when ordering. If you are not sure if your art will work, you can email our skilled art team for a recommendation. Remember: The better the input artwork, the better the output engraving! Please remember to include your Order Number with all correspondence. Resolution refers to the amount of pixels in a particular image and is generally measured in dots per inch (dpi). High resolution files generally result in a higher resolution engraving. A 300dpi/ppi or better is preferred for bitmap files. Black and white artwork is preferred. If you send a color image, we will convert it to grayscale or black and white. Gradients (shades of gray or shading) can be reproduced well on our laser machines, however results vary based on art file and material being engraved or etched. For best results, avoid gradients, however if necessary we can laser them, sometimes an extra part is needed for testing or an extra day for proofing. See our available Fonts. Your font not there? Just include the name of the font you want, chances are we have it. If not, we'll let you know or you can embed the font in a vector based file (eps, ai, cdr, pdf) and email that to us. Photographs laser engrave beautifully! Especially on wood, some metals, plastics, black marble and leather. Your photo file should be in as large a file as you have. Photos look best when there is a quite background (or no background) and less noise behind the object you want to laser. We engrave a lot of photographs and they come out great as long as they are high quality photos! Customers will assume complete responsibility to obtain permission for reproduction of logos, trademarks & copyrights. By agreeing to print any submitted artwork, Lazer Designs will not be held liable under any circumstances. Please call or e-mail with any questions or if you would like a quote on your artwork! Use the Special Instructions Box to describe your custom layout if needed. Including what fonts you want, artwork info, what you want engraved on the sides, individual names to be engraved on different items, etc.